Even as a child I was fascinated by solar energy. Once my dad brought me a promotional toy of a propeller powered by a tiny solar cell. That’s how I was introduced to what is for me the most fascinating form of energy production – electricity generated from the pure energy of the sun. 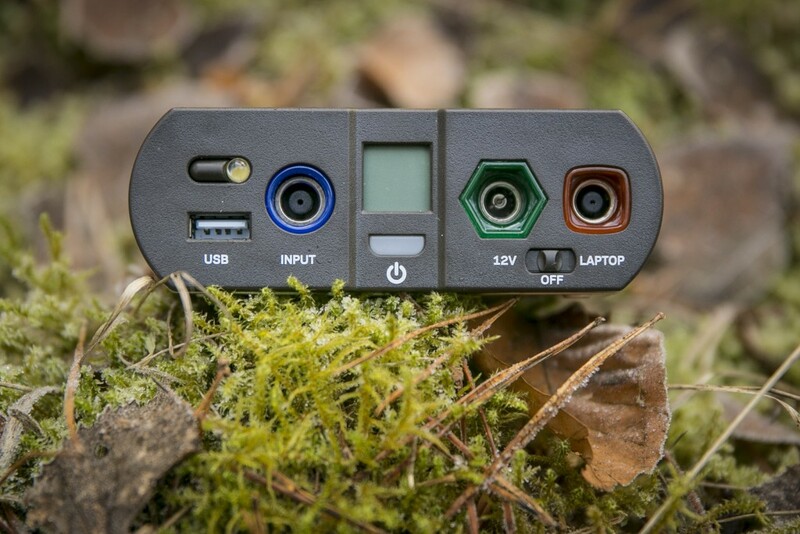 Today, as a nature lover and passionate photographer, the question arises: What equipment do I need to be able to power my camera equipment and laptop over several days in a self-sufficient way? In my research, I came across the company Goal Zero, who offer the perfect solution to match my needs. 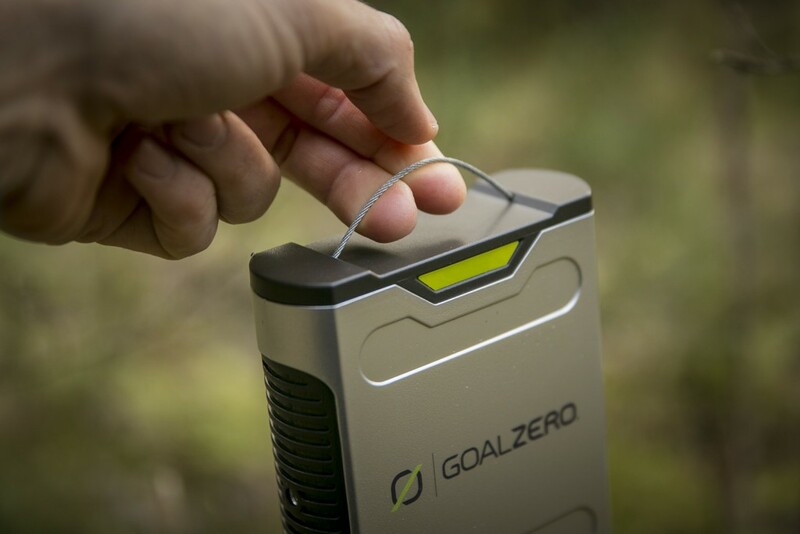 Goal Zero has been in the business of providing portable energy since 2009, and specialises in the needs of outdoor enthusiasts like me. Consequently, they offer numerous custom-made products that give me the freedom to pursue my hobbies away from civilisation and independent of mains electricity. So you can also see this review as a guide to what you would need to follow your own passion as a photographer off the grid. 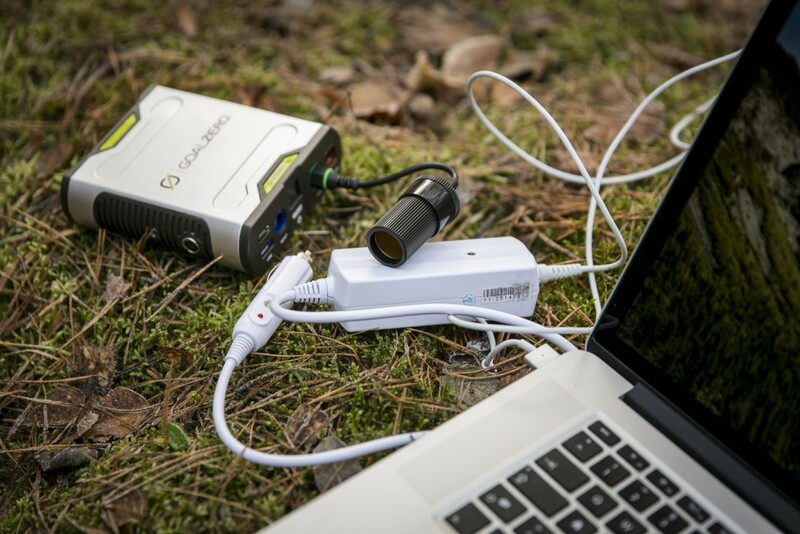 Which Goal Zero products do you need to power a camera and a laptop? As the owner of a Sony Alpha camera and an Apple MacBook, my priority was to find a way to charge my laptop. 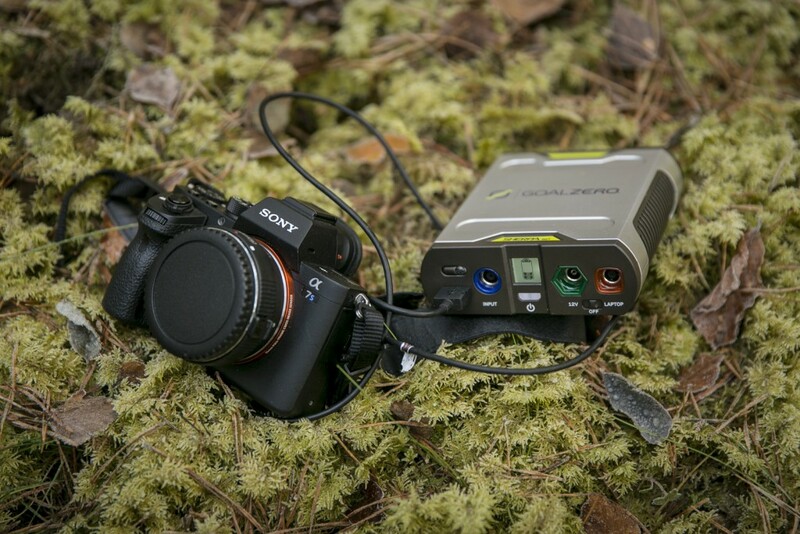 Cameras like the Sony Alpha can be charged using any regular power bank, but which Goal Zero product would be needed to charge a laptop? 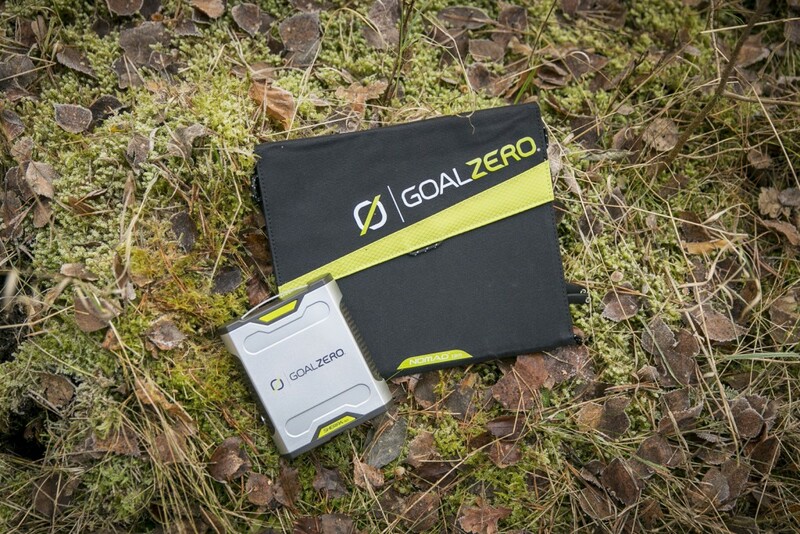 The choice fell to Goal Zero’s Sherpa 50 Solar Recharging Kit, which is made up of a Nomad 13 Solar Panel and a Sherpa 50 Portable Recharger. The Sherpa weighs just 540 grams, so it’s suitable even for longer backpacking treks. 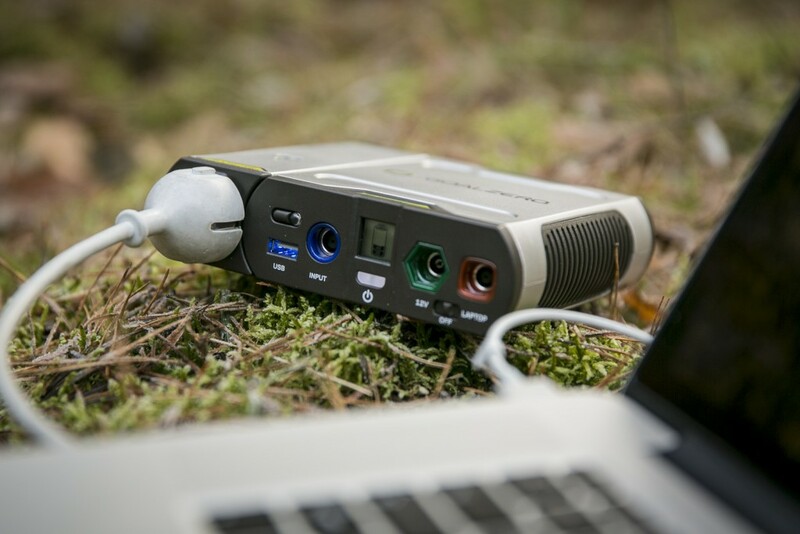 Additionally, an Inverter can be attached to the sidecar port of the Sherpa 50 to allow you to plug in any electronics with traditional power plugs such as, in my case, my MacBook. 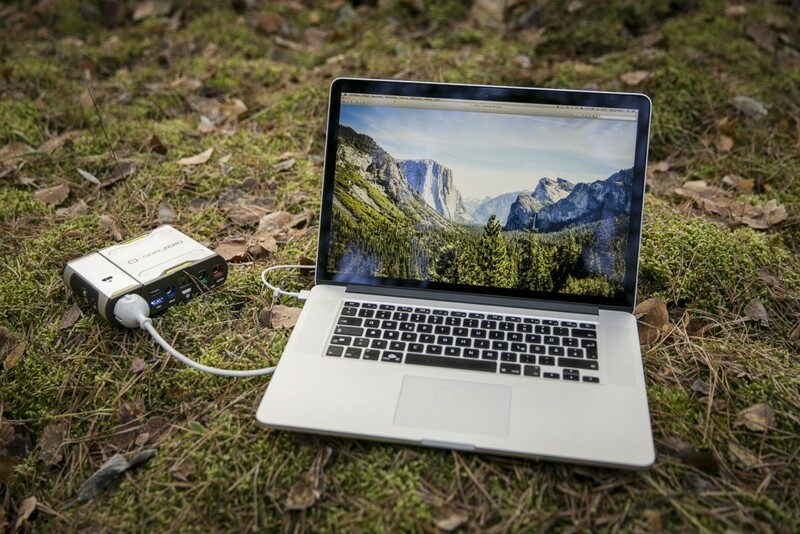 There are 2 ways to charge a laptop with the Sherpa 50. 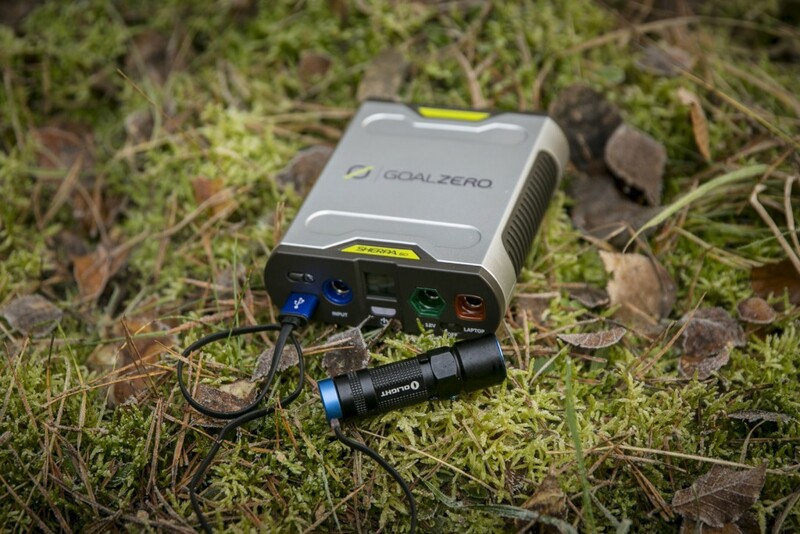 You can purchase the above mentioned Goal Zero Inverter and connect the MacBook via a normal power cable. So you should know beforehand which items you want to charge on the road. The Inverter would make sense only if you have other electronics where you need a traditional power outlet. Otherwise, an in-car charger cable will give you the option to charge your MacBook with the Sherpa or in a car. 3. 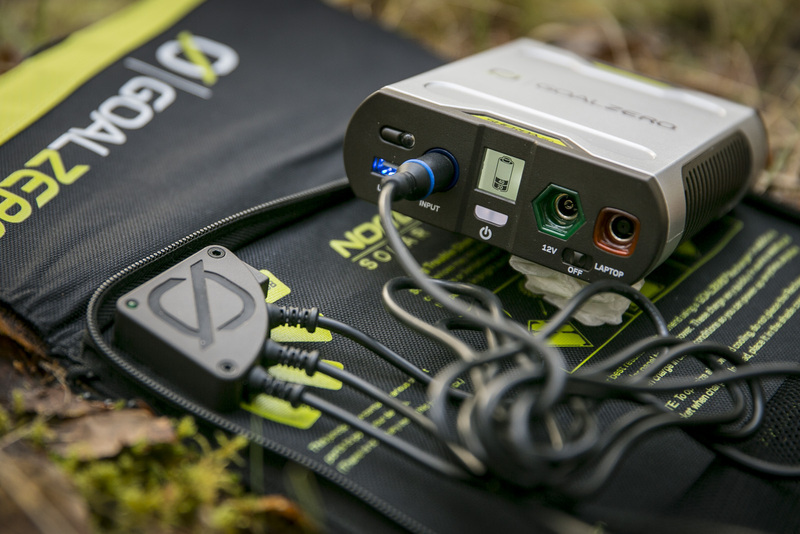 How do you charge the Sherpa 50? 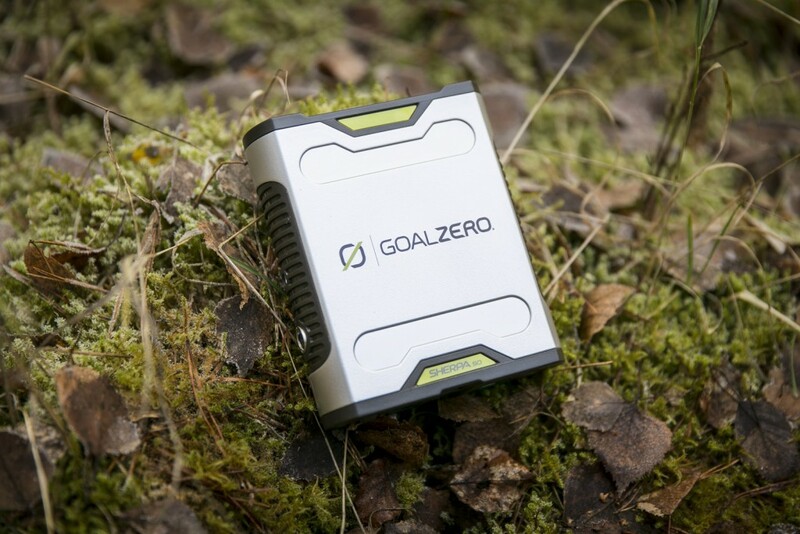 Goal Zero recommends to completely recharge the Sherpa after 3-4 months even when it hasn’t been used, though the Sherpa can store charge for several months. 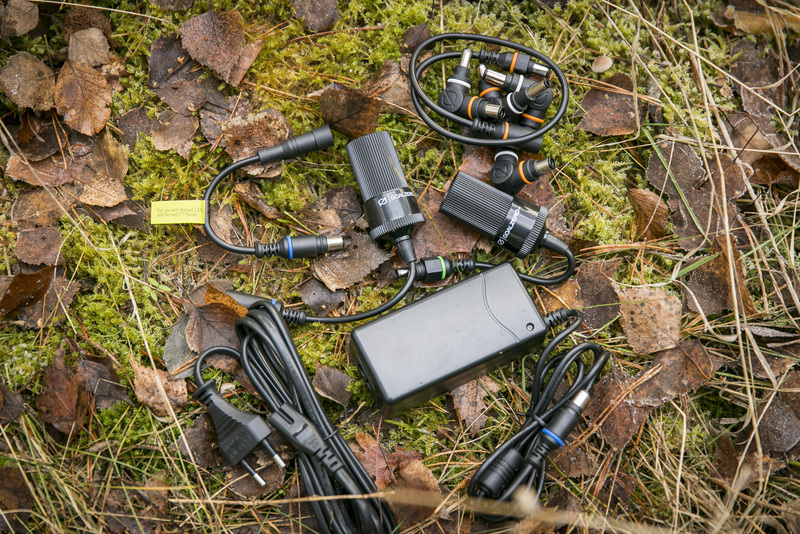 I would recommend that you charge the Sherpa at home via a wall outlet before every trip, as you never know on a trip when the next opportunity will arise. The charge time via a wall outlet is approximately 3 hours. 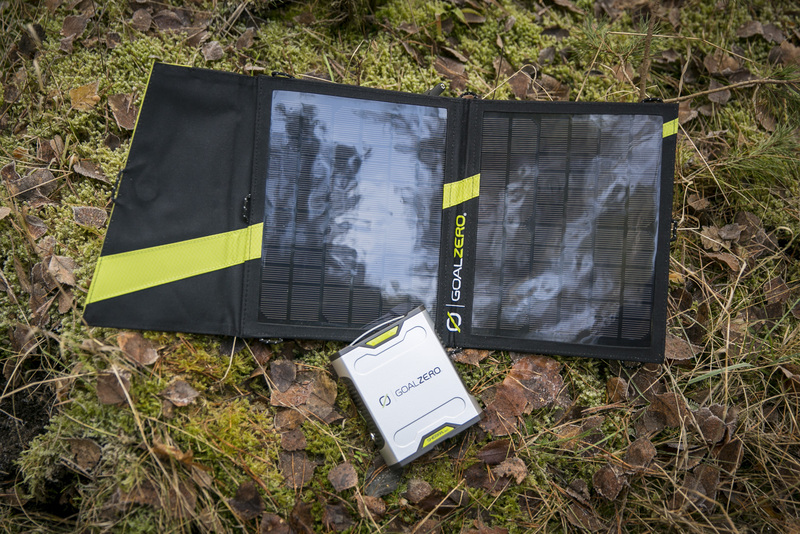 When you’re on the road, the Sherpa can be charged with the included Nomad 13 Solar Panel, using its monochrystalline technology. 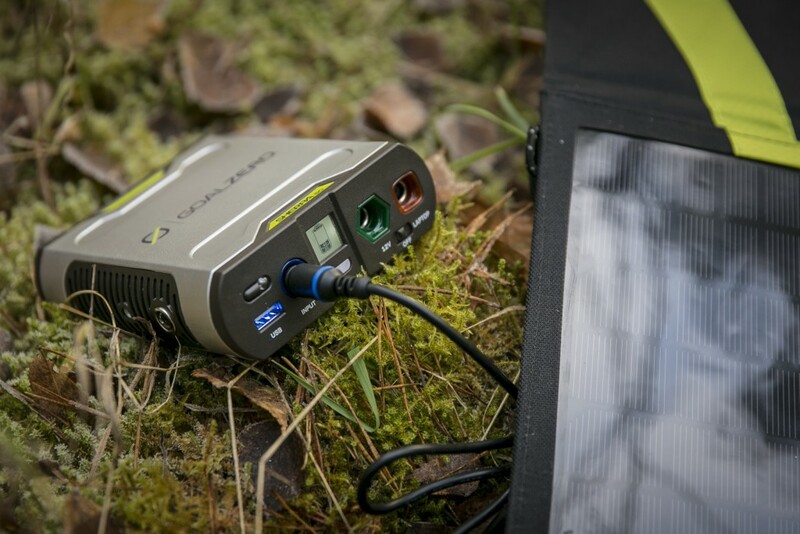 The solar panel connects directly to the charging port of the Sherpa via a 12V port. 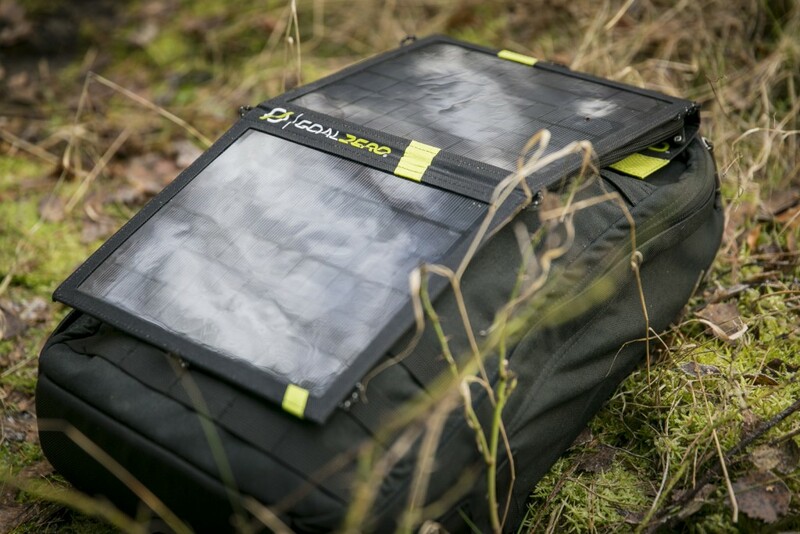 On the rear side of the solar panels is a large mesh pocket perfect for holding all the cables and the Sherpa 50 itself. Depending on how strong the sun is, it takes 8-16 hours to charge the Sherpa 50 using the Nomad 13 Solar Panel. A small display on the front shows the progress in 20% increments. 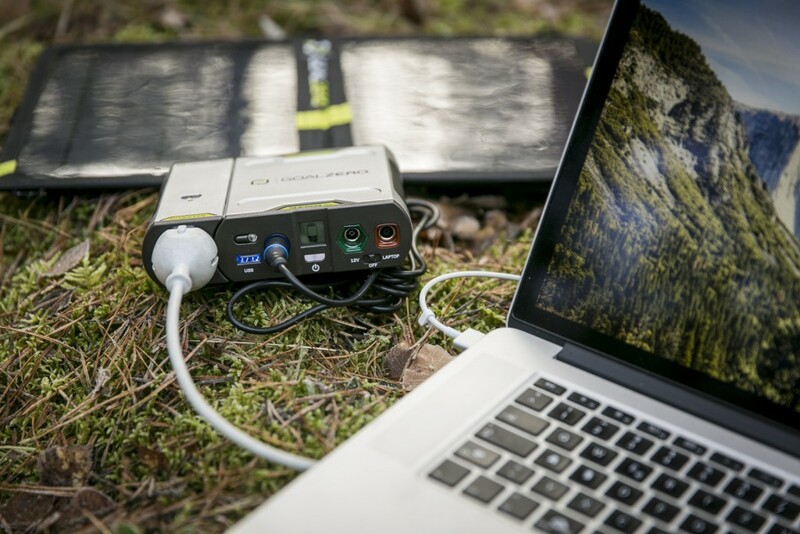 Extra to the USB port and the 12V port, the 720 gram Solar Panel also includes a Guide 10 Recharge Output which can be used to link 4 solar panels together and so quadruple the charging power. 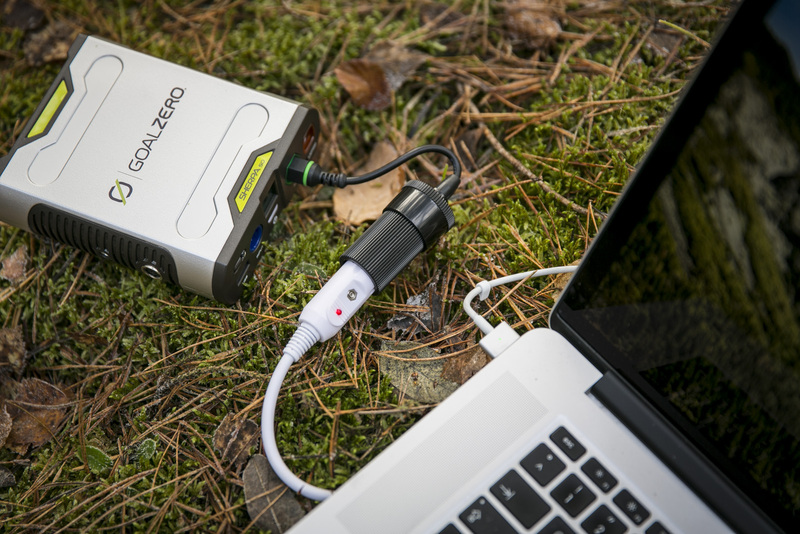 It’s also possible to use the 12V port and the USB port at the same time to charge two separate pieces of equipment. 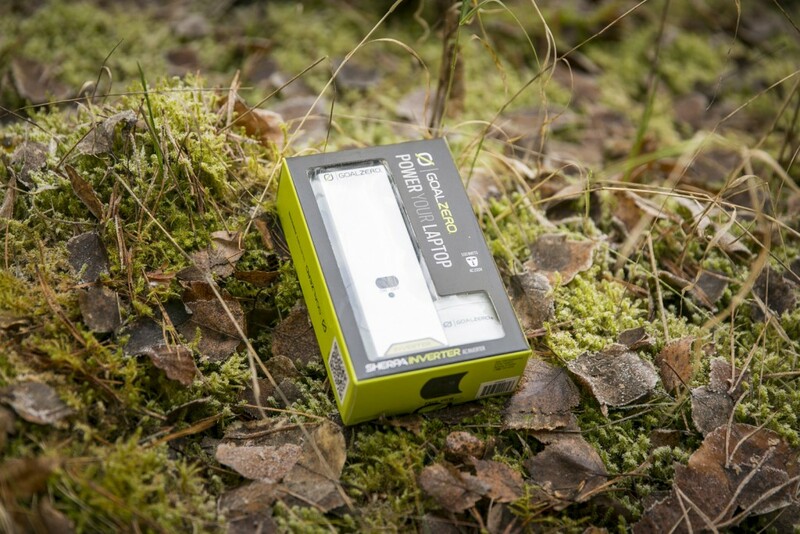 The Solar Panel can also be used without the Sherpa, for example, for charging a single Smartphone or a flashlight, using the USB port. 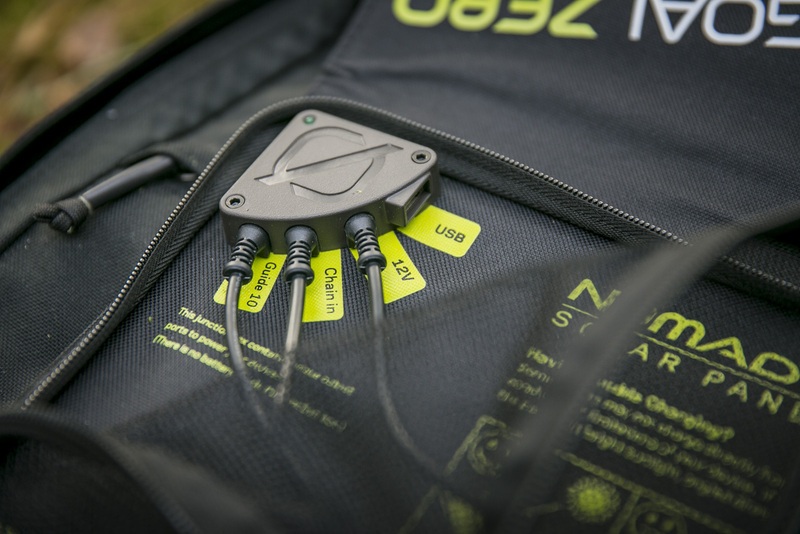 The Nomad 13 is designed to flip open to double the size. 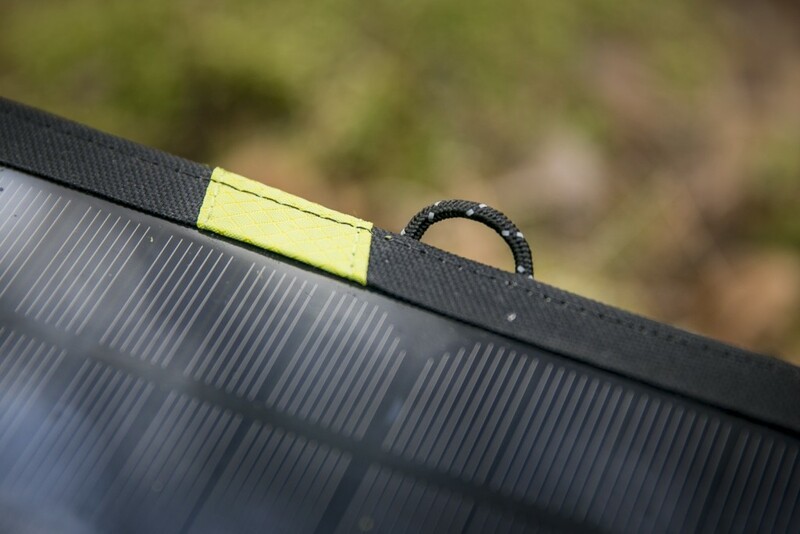 Various loops on the sides allow you to hang up the Solar Panel or securely attach it to your backpack. 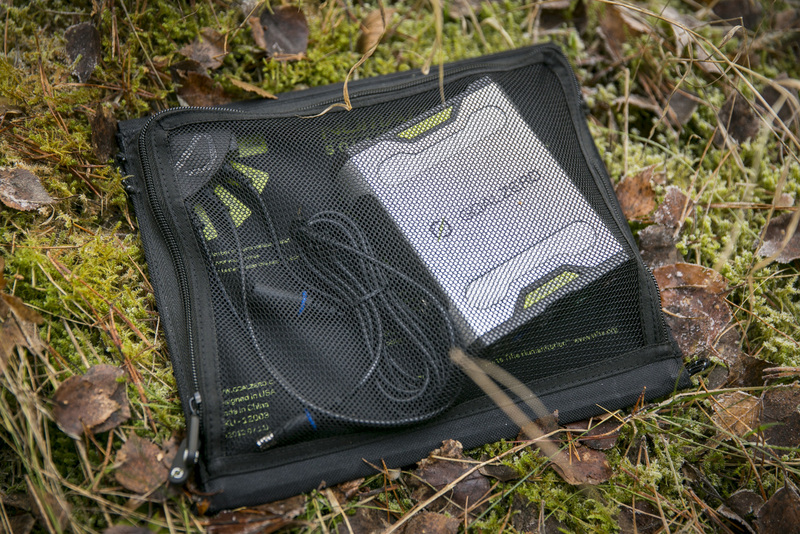 With the robust nylon sleeve, the Nomad 13 is not only extremely tough but is rain-proof too. 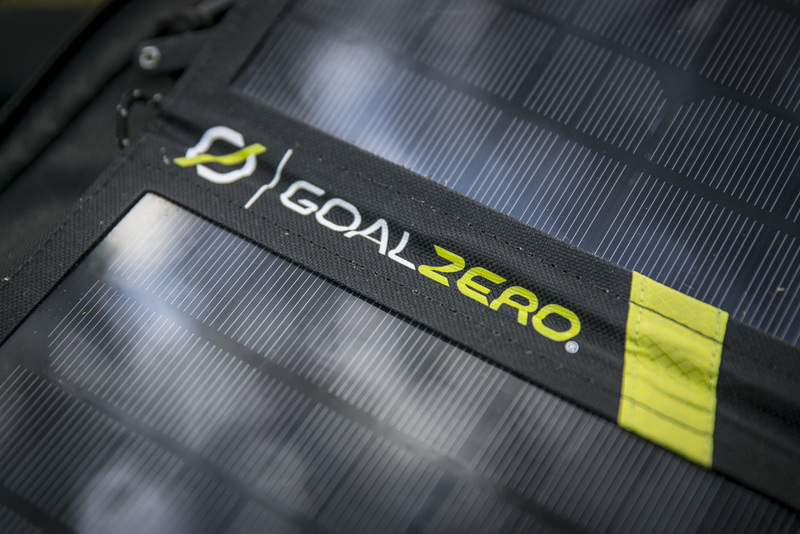 The Goal Zero Sherpa 50 Solar Recharging Kit may look complicated at first with its many cables and ports, but even without looking at the instruction manual I was able to connect all the parts within 5 minutes. Despite its compact size and light weight, the Sherpa 50 with its output of 100W proves to be a powerful performer. The Kit offers a wide range of adapters to connect and power almost all types of small electronic equipment, and the quality of the workmanship leaves nothing to be desired. All parts are well made and, even more importantly, works flawlessly. Of course being self-sufficient does means a slight restriction to your time on the laptop. After all, you can’t expect to able to use it for hours on end as you can at home. 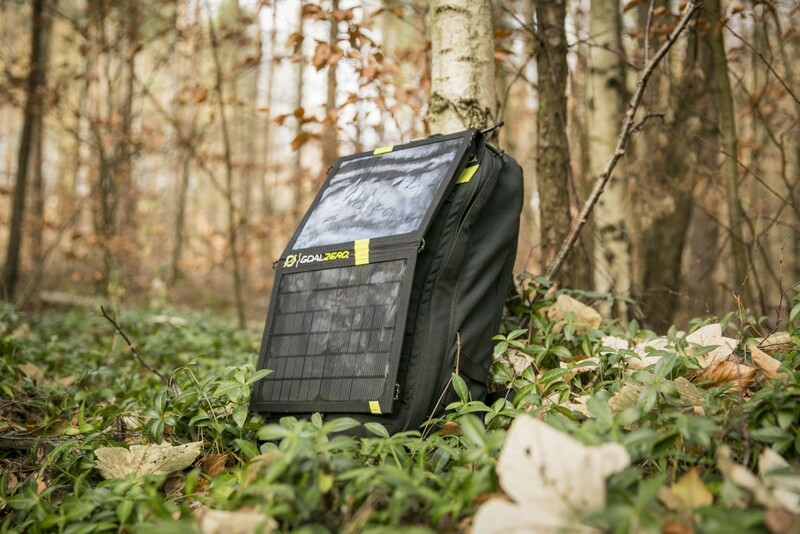 Still, the Sherpa 50 Solar Kit far exceeds my requirements as a photographer looking for self-sufficiency in my energy needs away from civilisation. 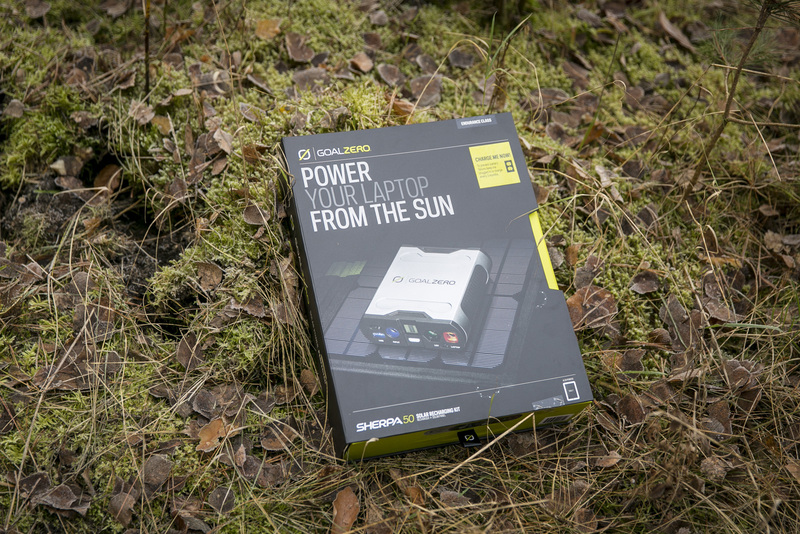 And what’s more, in my time testing the Sherpa 50 Kit, I felt that same joy and enthusiasm I did as a child playing with my solar-powered toy.